What is the secret of its power? Comfortably making our shortlist for the camera of the year at this year's T3 Gadget Awards, the Panasonic Lumix TZ8 packs in a wealth of features and punches well above its price range. Here are 10 reasons why one of the sharpest snappers around deserves a place in your pocket. Put simply, the TZ8's photos are excellent. Perhaps not quite so consistent as Canon's S90, but still wonderfully sharp. With a 12x optical zoom range of 30-300mm, the TZ8 is exceptionally versatile, performing well shooting landscapes or close-ups. It's an ideal compact for travelling. Shooting 720p videos at 30fps, the TZ8 makes a more than adequate camcorder. An HDMI port and the superb Dolby stereo mode found on the TZ7and TZ10 would have been cool, but we can live without them. The four-way controller and light dusting of buttons make it a breeze. The 3.7-inch LCD is bright, detailed and seldom blighted by reflections or fingerprints. A joy to use. Starting up and focusing quickly, we managed to capture around 18 13-meg images in a flash. Intelligent Auto mode makes it simple for even the most inexperienced photographers to take great shots. Mega OIS helps to prevent blur so you can shoot at low light and maximum zoom without fear. 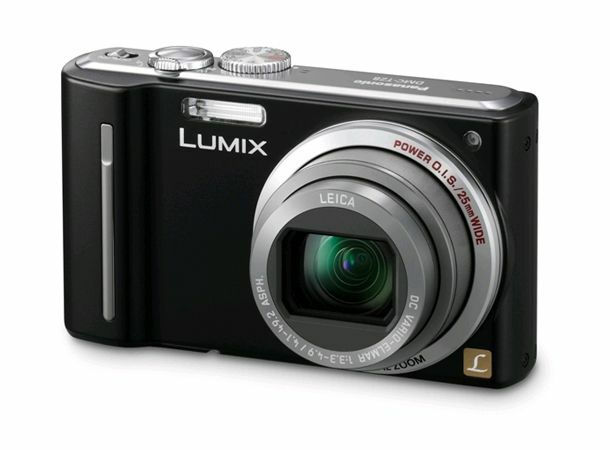 Finally, Panasonic's included manual control on the TZ range, with aperture and shutter adjustment. Panasonic's next camera up, the TZ10, adds built-in GPS and Dolby Digital sound to the TZ8's already lengthy list of features.